Symbol for Cancer visually easy to pick out the resemblance to the crab. This glyph represents two crab claws, always grabbing for more. Interesting thing about crab claws... they don’t let go easily, and neither does Cancer. Once a Cancerian has clamped on an idea, a goal or belief (whether good or bad) it’s the dickens trying to pry that out of their grasp. I’ll talk more about crab-Cancer connections later in this post. Other than the obvious representation of the crab, there are a few other ways we might interpret this glyph. Namely, the two circles, which represent earth and sun. The two arches around the circles represent crescent moons. Bring all these elements together, and we have an illustration of balance, which is what healthy Cancerians strive for. When harmony is found within (symbolized by the sun, earth and moon in the glyph), then order is an absolute reflection from without. Meaning, once Cancer manages homeostasis in their personal/internal life, then their external environment will see the same equilibrium. This symbol for Cancer is also reminiscent of the lemniscate (also known as the infinity symbol, or the mobius strip). It’s that figure eight flipped on its side. This symbol holds big potential lessons for Cancer. Too often, many Cancers will try to hold onto something when it’s clear the time to let go is long overdue. The concept of the infinity symbol encourages fluidity. It reminds us to let our energy loose and flowing so that we don’t get stagnated or stuck - a good thing for Cancer’s to remember. Water: As mentioned, Cancer is intimately linked with water, and all their energies. This lends a morphing quality to Cancer’s personality. How so? Consider water. It takes the form of its vessel. Water can also change states (liquid, steam, solid). Cancer has this transformative potential too. This sun-sign can adapt to their situations and environments quite well. This morphing skill is extra evident when Cancer senses trouble or discomfort in their loved ones. A Cancer will shift their entire demeanor to insure everyone around them is happy and taken care of. Along this same line, water is historically symbolic of healing, and Cancer’s are natural healers in the zodiac. Water makes things clean. 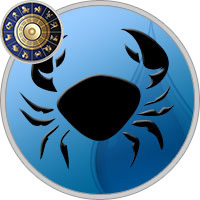 Cancers will use their powers of compassion and intuition to wash away the grime life dishes out. Acanthus: The symbolic meaning of Acanthus deals with immortality (Mediterranean mythology) and healing (Greek). It’s also strongly connected with themes of beauty and vitality. Like this plant, given the right elements and environment, Cancer has the gift of expressing beauty and healing too. The Acanthus is a hardy plant, and tends to survive harsh conditions. It’s also highly adaptable, originating in the Mediterranean but now seen all over the world, including North America. This is a metaphor for Cancer. As a Cancer sun-sign, you might not be fond of trying new things or being in new places. Nonetheless, you show the true grit of the Acanthus by bravely growing in unfamiliar soil. When you set your mind to plant roots in a new direction, you tend to blossom brilliantly. Pearls: It comes as no surprise that this lustrous birthstone is attributed to Cancer. Why? Because the pearl is the product of the water - an element closely linked with Cancer. Pearls are formed from irritants or debris within an oyster shell. This is highly symbolic for Cancerians. Cancer’s don’t like conflict (who does!? ), but when it comes, it brings big opportunity to create beauty. Cancer’s often learn their greatest lessons from the irritants in their lives. A whole, healthy Cancer will typically come out of a challenging ordeal with a renewed sense of self. Indeed, they often come out of murky, emotional waters with a luminescent brilliance. It’s as if the stuff that has irritated them for so long actually makes them better people. We all have the chance to be better people through dealing with difficulty, but this is especially true for Cancers. So embrace those nagging irritants, Cancer, and produce pearls from them! Crab: I love crabs. They are incredibly resourceful, just like Cancerians. They are in touch with the fluid motion of their watery environment - just like Cancer. And just like Cancer, they are ruled by the moon. Crabs are extremely sensitive too. They can detect threat in an instant, and Cancer has this capability too. 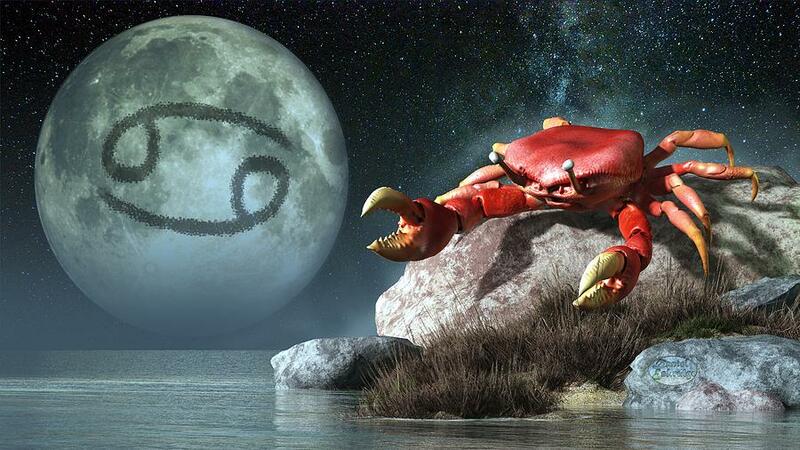 In a Cancer sun-sign, this hyper-sensitivity to danger might lead to an innate sense of distrust in others. Nevertheless, crabs (and Cancerians) are incredibly curious. Even if there is a potential threat, crabs and Cancers might just dive into a mystery to slake their curiosity.